The Poets Printery online shop is selling the Anthology. Click the image below to go directly to the shop, add the anthology to your shopping cart, proceed to checkout and then follow the payment instructions. You can pay with PayPal (if you have an account with them), a credit or debit card. I think I owe you all an explanation for the unfortunate delay we have experienced in releasing For Rhino in a Shrinking World. The anthology was sent by the publisher to the printer some time ago and we expected the book to be available shortly after this. Unfortunately, it then became evident that the shape and design of the book’s cover and spine could not accommodate some of the features we wanted. For example, the font size of the poems inside became much smaller than was acceptable to me if we persisted with the original dimensions. This had to be corrected. So the book was returned to the designer and we have now made it rectangular (26 x 21cm) rather than square. This has resolved the problem with the font size and we hope that everything is now as it should be. The book has been re-submitted to the printer and I am expecting to have a sample copy in my hands within the next few days. I can’t tell you how frustrating this has been for all of us, but I am determined that the book will be as beautiful and as fine as it is possible to make it: the delay is annoying but necessary to ensure its quality. As soon as I have seen and checked the sample copy I shall post here again to let you know where we stand – and I truly hope it will be to say that we’re there! Thank you once again for your patience and support. It is now almost a year since I listened and watched as Dr William Fowlds gave his harrowing presentation at Rhodes University about the horrors of rhino poaching. I felt utterly helpless then to contribute anything. But it is also nearly a year since I had the idea of asking poets around the world if they would be prepared to contribute to an anthology in support of the rhino and the natural world of which it is such an iconic part. It’s been a long haul but an inspiring one for me: the response has been absolutely stupendous, and now we are within touching distance of publication. The book should, according to the publisher, be ready this month – February. I know that you are all, like me, waiting to see it, and I thank you for your patience (although, in the great scheme of things, publishing such a wonderful book from scratch in twelve months is no mean achievement). I hope that the next post here will be to announce that our anthology has been published, so please keep looking! Poets Printery publisher, Dr Amitabh Mitra, and I held a long and amicable meeting together in East London today. I made plain to him my frustration, shared by many of you, I am sure, that the publication of For Rhino in a Shrinking World seems to have slowed down. It had been my hope to have the book available for purchase by Christmas but, if I’m honest, this was always going to be a tight fit. Never mind – it will happen soon. I told Amitabh of my plans (already in motion) for a grand launch of the anthology at Rhodes University in Grahamstown – details of which will be posted here – and others elsewhere in South Africa: Cape Town and East London certainly, with others in the pipeline. 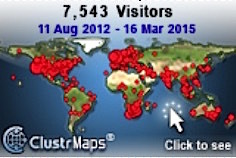 And I would like to think that we may have others elsewhere in the world in due course – Any ideas? He explained to me that the process of completing the finishing touches to what will be a very special book takes time and a delicate attention to detail by both designer and publisher. It then goes to the printer (in Durban) for final technical comment and the production of a galley, a ‘prototype’, that having been approved is then printed and produced. Once at this stage, the book can be available very quickly. In short, he informed me (kindly but firmly!) that I have done my bit – now I must leave it in his hands. He assures me that it is being given priority, and I believe him. We should have the book available within about a month. Please be assured that this special anthology will be ready – and available to the world – just as soon as we can make it so. In the meantime, I once more ask for your continued patience. Thanks – and a Happy New Year to you all. Almost at once the poems started to arrive – literally hundreds and hundreds of them. 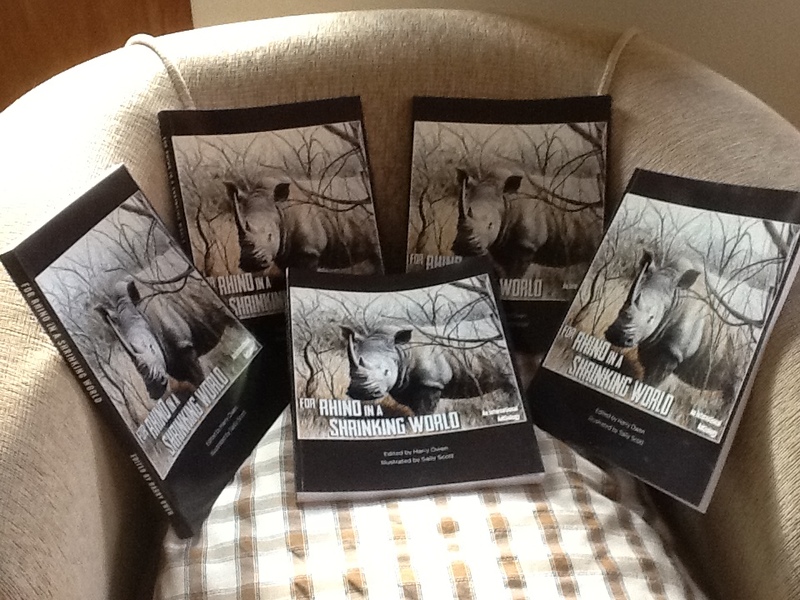 People all over the world, some very young or inexperienced as writers, others well known and widely published, clearly were deeply touched by the plight of the rhinos and as sickened and horrified as I had been by Will Fowlds’ eyewitness account, film of which was also made widely available on the Internet. By the deadline date it had become clear to me that compiling and editing an anthology from so many generous pieces of writing would be a gargantuan task. Many submissions could not, by sheer weight of numbers as much as anything else, find their way into the book – but I wish to put on record my sincere gratitude to all those who wrote and submitted work supporting the rhinos’ cause. Without them this book would not have been possible. I wish all who have supported us and all who will continue in the coming days to help the rhino and the natural world a truly Happy Christmas and the most uplifting of all New Years. This evening (Tuesday 11 December) I held a telephone conversation with Dr Amitabh Mitra, publisher of the rhino anthology, and we agreed that the book is progressing nicely and looking very good indeed. It is now in the final stages before publication and is awaiting its signing-off after concluding a thorough proof reading and re-checking. Next step is the printer. Unfortunately, since the Christmas period in South Africa is when the whole country goes on its summer vacation (and this begins for most people – including those in the printing industry – at the end of this week), it is now most unlikely that For Rhino in a Shrinking World will be available by Christmas as I had hoped and planned. I regret this profoundly and can only apologise to those of you who had hoped to give the book as a Christmas gift. I really am as disappointed as anyone, but we have done our best and not quite made it on time. On the other hand, the book should certainly be ready early in the New Year and I am looking forward very much to its launch then. To be honest, I could not in all conscience have forced the pace and risked the finished product being less than excellent. I do hope you will understand. As soon as I have any more information I will post it here, so please keep checking in. On behalf of both myself and our grievously persecuted rhino, I do thank you for your continued support and wish you all the happiest of holiday seasons.